One more bread following along with the “Bread Baker’s Apprentice Challenge“, the group project in which bakers make every single recipe from Peter Reinhart’s book, in the order they are published. 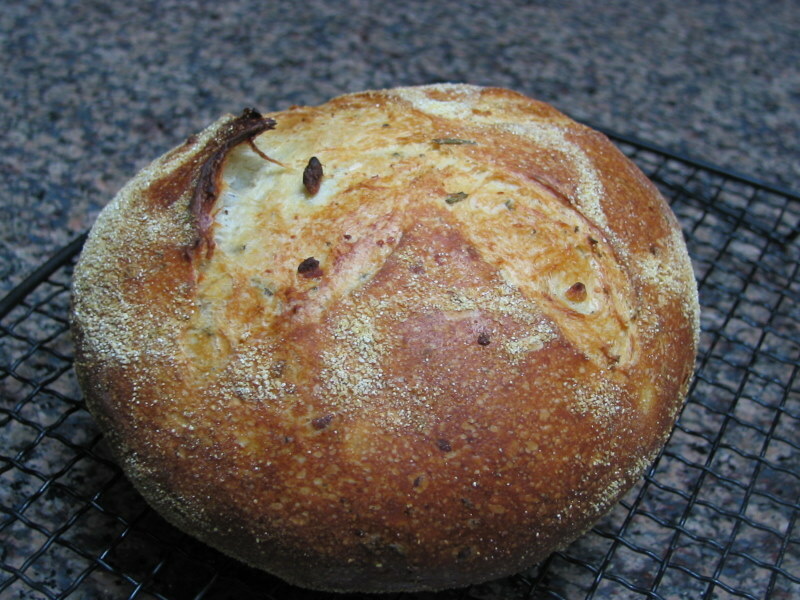 Potato Rosemary bread: I was looking forward to this one. Homemade bread has plenty of wonderful qualities, but often tastes best on the day it is baked, because contrary to its commercial counterparts, it has no preservatives. However, something quite interesting happens once you add potato, or even potato cooking water to bread dough: the potato starch molecules “trap” water, and as a result, the bread stays fresh longer. It will not lose moisture as fast as a regular bread. 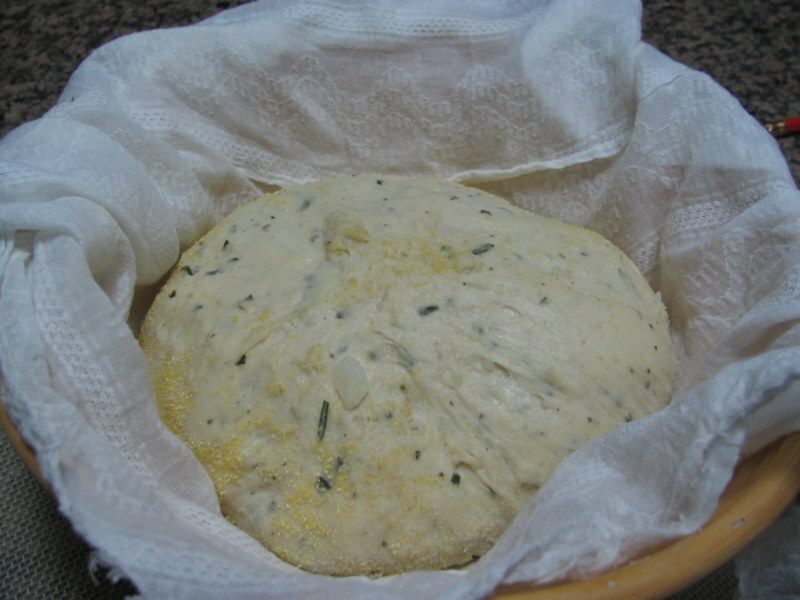 Peter Reinhart’s recipe calls for a biga – a stiff mixture of flour, water, and yeast that ferments overnight – as part of the dough, that also contains a small amount of commercial yeast, flour, mashed potatoes, chopped rosemary, black pepper, and salt. Instead of kneading I folded the dough at 20, 60, and 90 minutes. After two hours I formed a “boule”, and allowed it to rise 2 more hours. My other modification was to bake it with steam, that is, I baked it for 30 minutes covered with a roasting pan, then removed the cover, and allowed it to bake for ten more minutes. The internal temperature of the bread was a little higher than 200F at that point. Very nice looking bread and great photos. How deep is your roasting pan ? Mine is very shallow so I will be looking for something else. My roasting pan is pretty deep. It is one of those very cheap pans sold for camping – black and white speckles. Normally they are oval shaped, with a lid. I just use the bottom part, fill it with hot water, then empty the water and invert the pan over the bread, with just a little water still clinging on it. It seems to steam quite well. Gorgeous bread Sally. And look at you go with your mad slashing skills! Great job. That sandwich shot should win the most mouthwatering award. I tried the roasting pan method for creating steam but was unsuccessful maybe because I used a deep disposable aluminum roasting pan. Your bread is amazing! I agree that stretch and fold method makes a better stronger dough. Your loaves look so delicious. The crust is so golden brown. Was it crusty? Does the steam method do that? How does the stretch and fold method work? Do you just mix the dough breifly until everything is incorporated and then stretch and fold at 20, 60 and 90 minutes? Pretty much that’s what I do – I like to incorporate everything until it is a shaggy mass still, and leave it for 10-20 minutes undisturbed, then start folding. 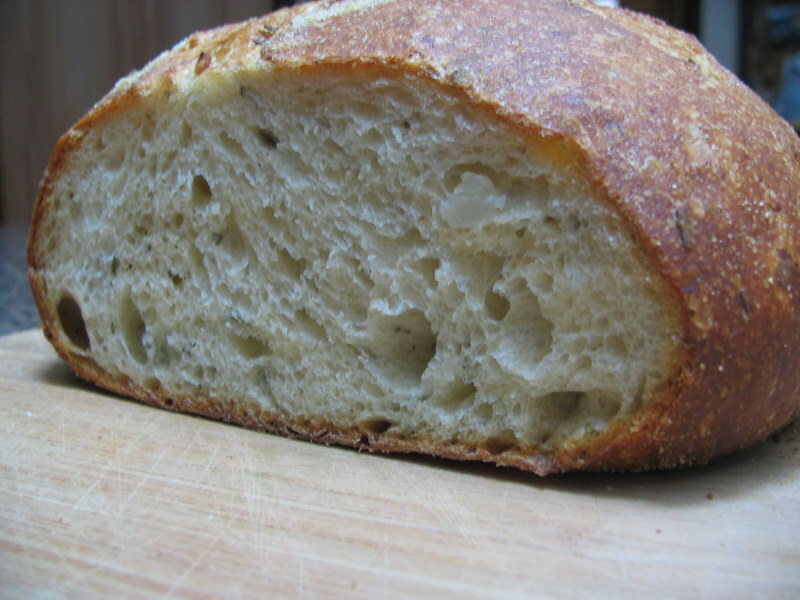 I think the steam method gives a very nice crust indeed – it is not as crusty as a sourdough bread, but almost there. Wow. I’m totally looking forward to this one. 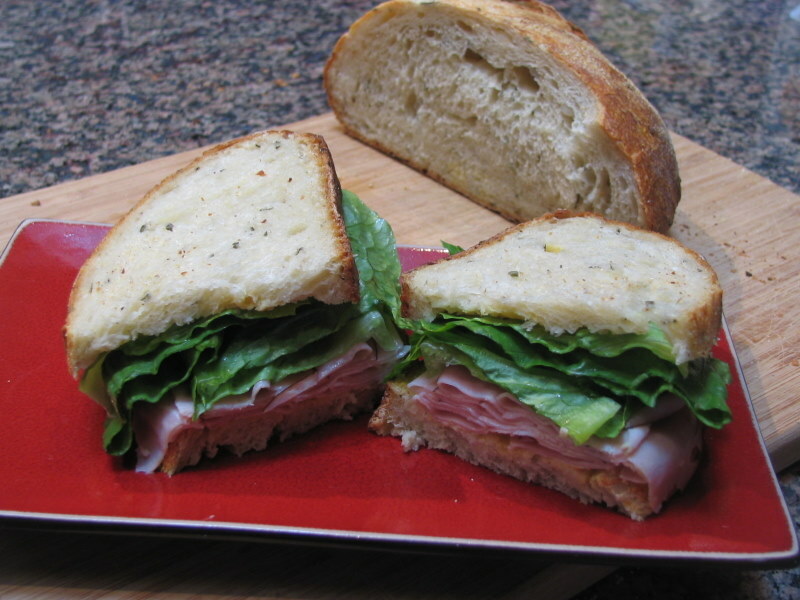 Your bread looks amazing, plus I bet it made awesome sandwiches. Interesting about the roast pan, though. I’ll have to really look for one here since it’s sometimes hard to find things in Germany that are readily available in the States. It’s a great recipe indeed – I look forward to your report, as usual. Sometimes I wonder how many of us are still hanging with the challenge. Your loaf looks amazing. And I like the idea with the roast pan – that’s why the crust in the first picture looks soooo beautiful, I guess. 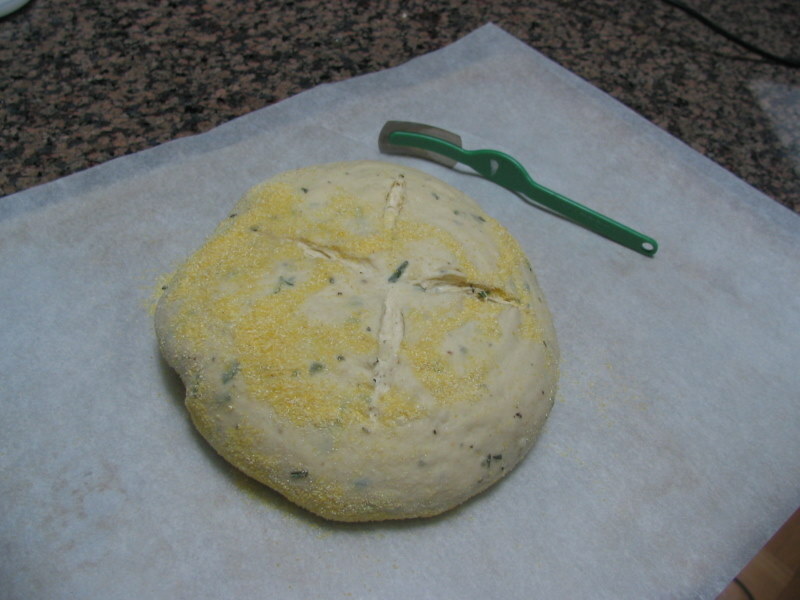 I liked how mine looked, too, but I was glad when the bread was gone because I didn’t really like the flavor. The smell was great, though! Yours is beautiful! Next time I’ll try your modifications.